Research has shown that we all have a limited capacity to resist temptations. The best example of this is when we try to diet. Each of us have a certain limit of will power that we can use up during the day, like a will power battery. The more we use up our battery, the less will power we have. Since, most diets require us to use up large reserves of our will power, we have a harder time sticking to them at the end of the day. So, saying no to the pizza at lunch makes it harder to say no to that chocolate cake for dessert. To make matters worse, the excessive use of our will-power by a constraining diet also depletes our will-power to resist other vices, like straying from our exercise plan or spending too much money. How do our will power batteries affect our buy vs rent decision? It comes down to our ability to control our spending. As one of the more popular and debated financial topics out there, to make a well-informed decision requires you to take a look at a few fundamentals about the math. My colleague, Ben Felix, has done an amazing job of laying out these assumptions in his video on the topic. I’ll link to the video if you haven’t already seen it. As Ben explained in his video, renting a home can lead to extra income that can be invested with a higher return. But this theory only works if you’re a good saver. Some people are good savers, easily resisting the temptation to spend, while other aren’t. To his credit, Ben is an extremely disciplined person, particularly in his personal finances. But my reality is different. I only have a limited ability to resist temptation. I think it’s really important to know yourself when making big financial decisions. A good friend, who is a great saver, offered this: If you’re a good saver, buy a small house. If you’re a bad saver, buy the biggest house you can afford. The forced savings of a mortgage disciplines us in a way that most aren’t able to be, unless contractually required. I hadn’t heard this expression before and it stuck with me ever since. Following on Ben’s videos, I would change the saying to “If you’re a good saver, rent”. This is true because when we rent, there is extra cash-flow that isn’t going into the principle payment of a mortgage. As long as we put this aside and invest it, the return is likely to be higher than the return on real estate. What of the rest of us who are not good savers? Many of us will skip a monthly contribution or two to our retirement plans when a deal on a vacation is too good to refuse. On the other hand, we’ll do everything we can to make our mortgage payment, because the consequences are huge if we don’t. The mortgage will impose a discipline that you and I wouldn’t otherwise have, which will make us better off in the long run, despite the lower return on real estate. Whether you’re more like Ben, or more like me, it comes down to this: If you’re a good saver, rent if not, buy. We all want to be beacons of good behavior. As a father of three, I want to set the best example for my kids. To do that I think that acknowledging our strengths and weaknesses and taking deliberate steps to manage them is the best path to financial success. 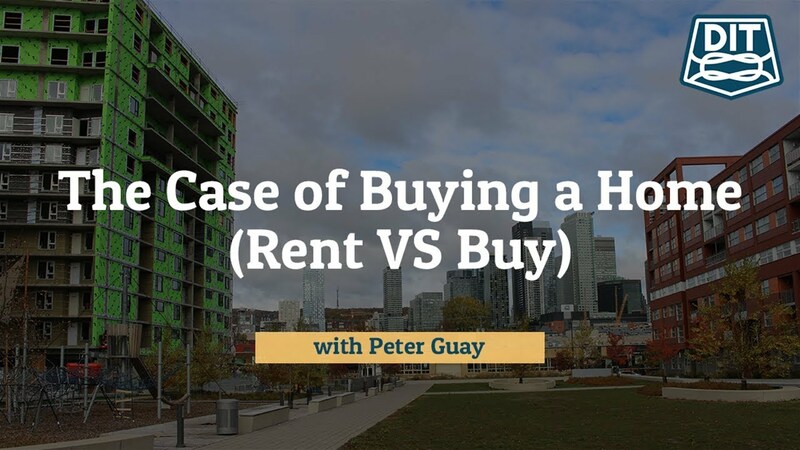 Are you a forever renter or a hard-line home owner? Tell me about in the comments.